Smith Forum Sunglasses - The Forum by Smith Optics has the perfect combination of classic frames and modern style. These sunglasses are also set up with high performance features to make them great in any situation. Polarized lenses reduce glare and provide excellent visual clarity. Polarized lenses are especially useful for people who like to spend time near water. The frames have hydrophilic nose and temple pads for comfort and a great fit. They are also lightweight and made from renewable plant-based materials. Oakley Holbrook - With his brother Jesse acting as his creative director, snowboarding superstar Shaun White worked closely with Oakley during the creation of Holbrook. Together they went back to vintage styles like the original Oakley Frogskins® then set out to distill their own vision of American cool. Holbrook is a timeless classic that echoes the screen heroes from the 1940s, 50s and 60s, the icons who inspired youth with their own brand of defiance. Revo Discern Titanium Sunglasses - With a titanium frame for light weight and amazing durability the Revo Discern Titanium Sunglasses are so awesome you would have never thought shades could be so awesome. The flexible fit of titanium makes the Discern from Revo highly comfortable as it will not put pressure on your face and ensures they will last for many years. These shades feature Serilium lenses which will block the glare from water, snow and the road and will be able to tolerate high velocity impact to such objects like gravel. Smith Proof Polarized Sunglasses - FEATURES of the Smith Proof Polarized Sunglasses. Medium FitFrame Measurements 62-17-1298 Base Lens Curve. Oakley Frogskins - Oakley Frog Skins Sunglass - Men's In American history, it was a decade like no other -- Reagan ran the White House, "Back To The Future" was a box office sensation and hip-hop had just hit the scene. It was also the time when Oakley created an exclusive pair of sunglasses -- the Frog Skin. They resurrected the original silhouette from the ’80s and remixed it with modern style, giving you a chance to own a piece of history -- the Oakley Frog Skin Sunglasses. Oakley A-Frame Goggles - Lens fog is a performance killer, so Oakley developed a three-tiered defense. First, they devised surge ports to control airflow. Second, they formulated F-3 Series anti-fog treatment. Third, they engineered a dual lens design to reduce fog with a thermal barrier of trapped air. Then Oakley took all that technology and juiced it with the precision of High Definition Optics® (HDO®), topping it off with a wish list from the pros: 100% UV filtering, impact protection that meets ANSI Z87.1 / ASTM F659 standards, durable urethane that stays flexible, and comfortable triple-layer polar fleece foam with moisture wicking. Oakley GasCan - FEATURES of the Oakley Men's Gascan Sunglasses. SPECIFICATIONS of the Oakley Men's Gascan Sunglasses. HIGH DEFINITION OPTICS® (HDO®) combines patented optics and PLUTONITE® lens material that provides 100% UV filtering and unsurpassed impact protection. Dual lens material blocks 100% of all UVA, UVB, UVC and harmful blue lightsLightweight O MATTER® frame material offers premium comfort. Peripheral vision is maximized by XYZ OPTICS®, an innovation that maintains visual clarity at all angles of view. 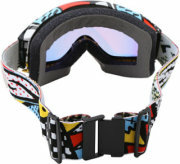 Oakley Airbrake Goggles - Airbrake Snow Goggle. Introducing Oakley Airbrake, a performance snow goggle with an interchangeable lens design that helps you adapt to the environment and enjoy the best vision possible. Oakley Switchlock Technology makes lens changing fast and easy, and two lens colors are included with each goggle so you’ll be ready for a range of conditions right from the get-go. Additional lens options are available, so no matter what the mountain has in mind, you'll be able to keep up with changing light conditions and maximize both performance and safety. Julbo Sherpa - The Sherpa sunglasses by Julbo are lightweight, high-performance glacier glasses. Designed for skiing and mountaineering, these inexpensive Julbo glacier glasses feature 100% UV protection and reduce visible light glare by 88%. Julbo has made some of the best mountaineering glasses in the world for over a century, so you can count on a durable design and quality workmanship. Polycarbonate lenses with mirrored blue finish are shatter-resistant. FEATURES of the Julbo Sherpa Sunglasses. Oakley Oil Rig - Oakley Oil Rig Sunglass - Men's For the pros of action sports, the rule is simple: be a leader or a loner -- just don't follow the pack. So, if you're looking for a transfusion of art and attitude, it's called Oakley Oil Rig Sunglasses. Oil Rig sunglasses are built with lightweight O Matter® for comfort that won't quit on you, and the patented innovations of High Definition Optics® maintain clarity along the entire lens curve. Smith Phenom - The Smith Phenom Goggles combines both a classic look with the latest in technology. With a medium frame the Phenom is one of the most versatile and best fitting goggles available. Sticking to the best the Phenom uses a spherical Carbonic-X lens for a large field of vision, scratch resistance, and durability with TLT optics which tapers the lens towards the sides eliminating distortion and increasing peripheral vision. To make the most of your vision dual layer DriWix face foam for a super comfortable fit and a strong thermal barrier to maximize fog prevention. Von Zipper Snark - Pull on the Von Zipper Snark Sunglasses when you convince your buddies to join you on the hunt for a mystical creature you just made up. Von Zipper gave the Snark sunglasses polycarbonate lenses to enhance clarity and block UV rays as you traipse through the jungle, thimble in hand, and half drunk on hope. The nylon grilamid frame withstands the epic battle with the beast, and it looks sweet in the after-photo. Oakley Radar Path Sunglasses - Oakley pioneered single-lens sports eyewear way back when in 1983, but they haven't released a markedly new cycling-focused design since 1990. Yes, the M-Frames were futuristic back then, but the style has been kind of ho-hum for years. It's still iconic, but is now conservative, when Oakley made its name being cutting-edge. Like the M-Frame, the Radar a single-lens sunglass that is light, fits well, and has interchangeable lenses with great optics. Poc Lobes Goggles - Lobes goggles by POC have a huge lens to optimize the field of vision. The lens of Lobes is a perfectly shaped spherical surface to minimize optical distortion. Perfect for a day on the slopes, these premium adult goggles by POC are even created with a great style. Stand out with these bright and modern looking goggles. The Lobes goggles for adults are perfectly tapered in thickness, which is cut to shape using computerized numerical control. Kaenon V6 Sunglasses - Polarized - The rimless Kaenon V6 Sunglasses give you a feather-light fit and unparalleled polarized clarity when you cruise the boardwalk or make the turn to the back nine. Kaenon's SR-91 lens provides the durable lightweight strength of polycarbonate lenses and the clarity of a glass lens, giving you unparalleled feel and vision. The V6 Sunglasses' Variflex rubber temple tips hug your head comfortably, which gives you a slip-free fit during any activity..
Oakley Flak Jacket XLJ - Sport professionals demand nothing less than the best, and we’ve answered their challenge for decades. World-class athletes have driven us to create innovation after innovation, including interchangeable lens designs with unbeatable optical clarity. Flak Jacket sunglasses take that to the next level with the latest in performance technology. Convenience gets a performance boost with Transitions® SOLFX™ lenses. As sunlight brightens, the lenses darken to keep up. When sunlight is scarce, the lens color gets much lighter but never goes away — so you get enhanced depth perception in shaded areas and cloudy places. Julbo Explorer Camel Sunglasses - The new Julbo Explorer was developed in collaboration with the French national skiing and mountaineering school for high-altitude mountain wear. Front venting thanks to the natural lens shapePolarized lens also removes glare especially useful with highly reflective surfaces like snow and waterRemovable and adjustable neck cordRemovable side shields provide protection against lateral lightCamel photo-chromatic lens adjusts from category 3 to category 4 depending on the light conditionsTotal cover provides maximum protection from harsh sunlight. 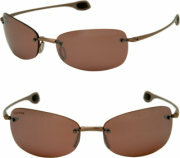 Suncloud Zephyr - Suncloud Zephyr Sunglasses are rimless polarized sunglasses ideal for sports. Lightweight injection-molded frame is comfortable for all-day wear and features no-slip temple pad tips. Universal fit is suited for all face shapes. High-grade polarizing film is incorporated into the lightweight, impact-resistant Suncloud lenses for 100 percent UV protection and a glare-free view. Polarized polycarbonate lens comes in four tints: Polarized Gray for truest transmission of natural colors, Polarized Brown for enhanced contrast while maintaining accuracy of color transmission, Polarized Rose with a silver flash mirror for an optically comfortable and pleasant lens, and Polarized Blue Mirror. Oakley Pit Bull - Oakley Pit Bull Sunglass - Men's Intensive use of lightweight O Matter® frame material gives the Pit Bull sunglasses a look that’s pure Oakley. Oakley Pit Bull Sunglasses have thick earstems that utilize dual-cam hinges for comfort in addition to Unobtainium® earsocks and nose pads, which increase grip with sweat for functional style. Additional performance features include Plutonite® lens material used to filter out 100% of harmful UVA, UVB and UVC rays and a Three-Point Fit that makes other ordinary frames boring interpretations of style. Oakley Split Jacket Sunglasses - Designed for on-the-go adventure seekers, Oakley Split Jacket Sunglasses deliver great clarity, a comfortable fit, and the ability to optimize eye protection quickly in any environment. Switchlock interchangeable lens technology allows you to switch between Oakley’s wide array of performance lenses quickly and easily to adapt your vision for any environment. This unique system also holds the lens securely in place without uneven pressures that can bend it and distort your vision. Smith Pivlock V2 - Building on the simplicity and hugely versatile lens-swapping technology of their legendary Sliders, the Smith Pivlock V-system of lens interchangeability is a natural and elegant optical evolution. The merits of this design allowed Smith to go blow-for-blow with some of the most entrenched optical sponsors in the pro peloton in 2010 and 2011, and got their then-new Pivlock V90 on the heads and helmets of pro teams all across the domestic and international circuits. Oakley Crosshair - The Oakley Men's Crosshair Sunglasses are a fresh pair of Oakley shades that blend a classic look with modern features. This is for those who like to keep it original, but won't miss out on today's fancy features. Some of those fancy Oakley features are the inclusion of the Plutonite lens for protection against harmful UV rays, and a C-5 Alloy material-made frame for a light-weight and comfortable feel. Seriously, these Oakleys are a good blend of old and new.